The Davis Cup’s peculiar draw makes it one of the hardest sports competitions to assess with regards to a long-term bet but it would appear that France represents the best value investment going into this year’s tournament. 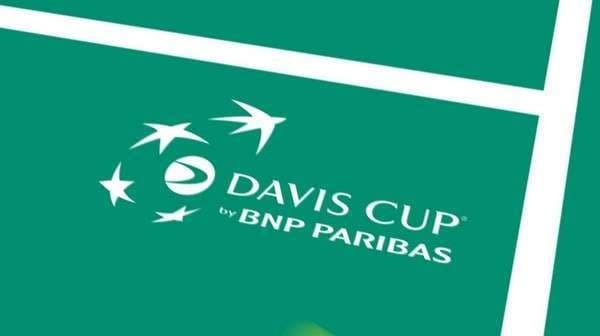 The 16-team Davis Cup World Group has eight seeded sides, including defending champion the Czech Republic, and eight unseeded teams, including Great Britain, which is back in the elite division after an absence of half a dozen years. The key to identifying a good Davis Cup bet is to go through all the possible draw permutations, of which there are many, to find the side that has the right mix of a well balanced team and a friendly travel itinerary. France fits the bill. France, the Davis Cup fifth seed, will play Australia in the first round. Australia has won the Davis Cup 28 times – that makes it second only to the United States of America and its 32 victories – but it is merely making up the numbers this year. Lleyton Hewitt is a better singles player than his ranking of 41 and he is the ultimate Davis Cup competitor but he has two kids, Thanasi Kokkinakis and Nick Kyrgios, and fellow veteran Chris Guccione for back up. Australia does not have the personnel to test France in La Roche sur Yon, a town on the west coast of the European nation. Only Spain can match France’s strength in depth. France has two top-ten singles players, Richard Gasquet and Jo-Wilfried Tsonga, and another three men – Gilles Simon, Benoit Paire and the enigmatic Gael Monfils – ranked inside the top 30. Furthermore, France has four doubles players ranked inside the top 30. France has a strong Davis Cup side and it is not reliant on one or even two men in either singles or doubles. France should breeze past Australia into the Davis Cup last eight and a quarter-final tie against either Germany or Spain. Regardless of whether it is Germany or Spain that qualifies, France will enjoy home advantage. Spain has got to cope without Rafael Nadal and David Ferrer so it is likely to find life tough in Germany. If the four singles rubbers go according to the world rankings, Germany will get the three rubbers that it needs to oust Spain from the event without worrying about the doubles. Bookmakers are taking no chances with Spain and, quite frankly, the Spaniards are a million miles under the odds given the squads selected. Awaiting France in the Davis Cup semi-finals would be the Czech Republic, the Netherlands, Canada or Japan. The Czech Republic and Canada are the seeded teams and, once again, the Davis Cup draw would entitle France to a home tie versus either of them. One should not underestimate the importance of playing Davis Cup tennis at home. It is absolutely huge. One thinks that the most likely Davis Cup semi-final in the bottom half of the draw would be Switzerland against the United States of America. Roger Federer has decided to join Stanislas Wawrinka for Switzerland’s first round tie versus Serbia but there is absolutely no guarantee that the Fed Express will play in later rounds. The United States of America, while solid across the board, does not have the star quality associated with a Davis Cup-winning side – John Isner is the top-ranked American at number 13 and he too will miss their opening tie after being replaced late because of injury by Donald Young. France would have the bonus of playing at home to five of the eight teams in the bottom half of the Davis Cup draw and that number would increase to six if it met Kazakhstan and the draw of lots decided the choice of ground in its favour. Bookmakers have got France as the Davis Cup second favourite behind Switzerland at odds of 5.50 with Betfred and Stan James. Switzerland is too short based on Federer’s history of skipping ties, Spain could crash out at the first hurdle and fourth favourite the Czech Republic used up all of its luck last year. France has won the Davis Cup nine times, with its latest win taking place in 2001. France is meeting Australia for the first time since the countries faced off in that year’s final. Maybe that is an omen for France 13 years later.